Protecting your commercial premises is a high priority for most entrepreneurs in Los Angeles today. A number of things need to be done to guarantee top security for your business complex. One of these things is installing high-security locks around your commercial premises. They may be a little extra investment, but you’ll find that they’re worth every penny in and around Los Angeles neighborhoods. 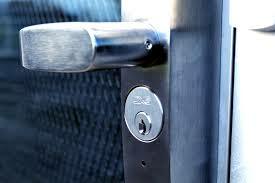 At Quick Locksmith in Los Angeles, we are your most reliable and trusted provider of high-security locks. We have been in the business of protecting and securing businesses for the past decade, and over the years, we have left smiles on every customer we’ve had an opportunity to serve. Our customers have always counted on us for the above and various other services. Here are some of the reasons you can choose us over the rest of the pack. We understand that as a business, you need to be up and running every single minute. With the understanding that time matters, we always strive to offer the fastest service delivery. Therefore, whenever you want a commercial locksmith who will offer you a fast service delivery, contact us. To achieve this, we have invested in highly trained staff and the best equipment. We clearly understand the needs of commercial clients. Therefore, we are able to meet your requirements when you contact us. Based on our experience, we are always able to deliver amazing results every time we get an opportunity to serve you. In addition to highly intelligent staff, our locksmiths practice a high-level of integrity and professionalism. We hire certified locksmiths who have undergone the necessary training to perform their duties incredibly well. In addition, we train them on integrity matters as well as professionalism. This enables us to achieve the best results and win 100% satisfied customers for life. How long does it take to install high-security locks on my property? It will vary based on the number of locks you need to install and whether it’s for a residence or a commercial building. The installation itself should only take a few minutes, and the more security you want usually correlates to the amount of time it will take for the job. How Much Does a High-Security Locks Installation cost? It depends on the type of lock you have, but we always request our customers to contact us directly for a free cost estimate. Are you looking for the best high-security locks service in Los Angeles? Contact Quick Locksmith today at (323) 275-9246 and get a free estimate over the phone!